By now, nearly all Californians are aware of their state drought conditions and the Governor’s mandate to reduce water usage by 25 percent. 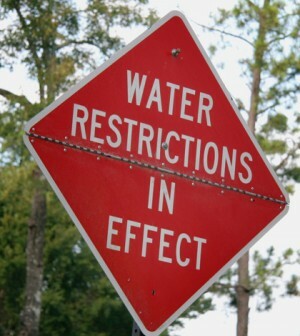 In response, over 430 water agencies statewide have imposed usage restrictions on customers. Here’s a closer look at some standout cases. The City of El Monte, which is serviced by the Upper San Gabriel Valley Municipal Water District, reduced water use by 22.9 percent in August. According to the State Water Resources Control Board (SWRCB), this brought the city’s annual cumulative savings to 15.9 percent; other words, it doubled the 8 percent conservation standard previously established in order to hit the state’s overall reduction goal. It’s a remarkable achievement for an area that the Los Angeles Times dismissed as the “city that can’t seem to conserve water” just one month earlier. The report cited El Monte’s failure to approve new drought plan proposals, and made examples out of residents who were not aware of their local restrictions. In a city that passed a stage 2 conservation plan as early as 2009, the dismal reality was that residents still needed more facts about water conservation. Shortly after reports broke in early August highlighting El Monte’s water conservation struggles, things quickly turned around. Residents began abiding by the stage 2 plan guidelines, which included refraining from hosing down sidewalks and driveways, in addition to only watering their lawns during late evening/early morning hours. El Monte now notes that it uses 60 percent less water than adjacent cities, thanks not only to residential efforts but municipal actions as well. The city implemented a 33 percent water reduction in its public parks, and eliminated the practice of watering grass in street medians. Hosing off sidewalks, driveways and parking areas is prohibited, except to properly dispose of/wash away dangerous substances or hazardous spills. Water leaks must be repaired within 72 hours. No outdoor irrigation is allowed between 9 a.m. and 5 p.m. Pools and spas with covers must be covered when not in use to minimize water evaporation. Only allowing residents to water their lawns one time per week, for 10 minutes per area, during the cooler months of October through May. The designated day for watering is the customer’s trash day (businesses may water on the same trash day as nearby residences). Narrowing the “watering window,” which is now 5:00 p.m. to 9:00 a.m.
Banning irrigation after rainfall. In Lakewood, no watering is allowed within 48 hours of measurable rain. High-efficiency rotary sprinklers (also known as “mini rotors”) with an output of no more than 0.6 inches per hour. One example of this type of sprinkler is the Precision™ Series Rotating Nozzles from The Toro Company, which apply water slowly so that it can be easily absorbed into the soil, reducing runoff and water waste. This is especially appropriate for sloped areas and tight or compact soil types. Drip-irrigation emitters producing no more than two gallons per hour. 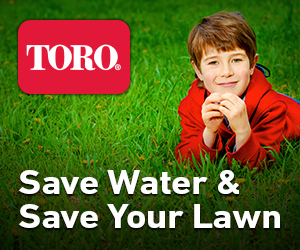 Toro offers a variety of drip options from easy-to-install drip tubing with preinstalled emitters to individual microsprays to apply water to specific plants. Low-tech irrigation tools with a conservation focus, such as a hose with an automatic shut-off nozzle or a water bucket. Often lauded as the portion of the state that grasps the facts about water conservation and upholds desirable water usage standards, Northern California continues to produce its conservation superstars. Case in point is Silicon Valley’s Morgan Hill, where residents reduced their water use by a whopping 42.5 percent in August. The SWRCB reported that the city’s annual cumulative savings reached 40.2 percent as a result, well over its 28 percent conservation standard. How did it happen? Coincidentally, the Morgan Hill City Council approved new local restrictions on the same day Gov. 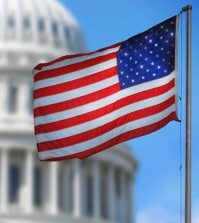 Jerry Brown issued his statewide mandates in April. Declaring a level 2 water shortage, the city initiated a ban on any new swimming pool construction. Filling and refilling residential swimming pools more than one foot deep. Filling ornamental ponds except as needed to maintain the life of fish and other aquatic species. Watering lawns and landscaping more than two days per week from April to October, and one day per week from November to March. Washing cars outside of commercial facilities. Meanwhile, the nearby city of Yucaipa is preparing to open inland Southern California’s first recycled water fill station. According to the Yucaipa Valley Water District, customers will be able to retrieve up to 300 gallons of recycled water per visit once the station officially opens. The district is still working toward its goal of cutting use by 36 percent before the state’s February deadline, having saved 25.5 percent as of October. Other recycled fill stations in Southern California have opened in Irvine, San Diego, Calabasas and Burbank. The Yucaipa location is a first for the Inland Empire region. As the clock ticks down to Governor Brown’s February deadline for 25 percent in water reduction statewide, cities throughout California continue to implement restrictions with varying degrees of success. 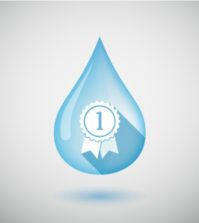 While meeting their respective goals has presented challenges, numerous cities have made an impact when it comes to teaching Californians the facts about water conservation.